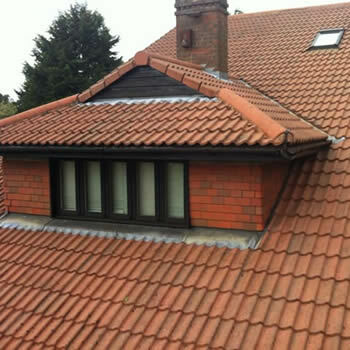 We provide a roof cleaning service in Salford and throughout the UK. 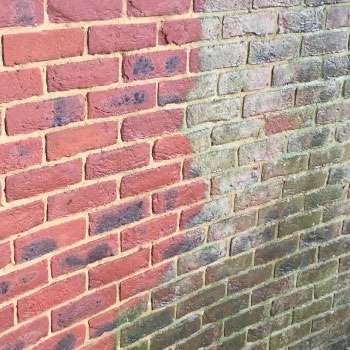 Damp can be a real issue for the majority of properties in the UK. 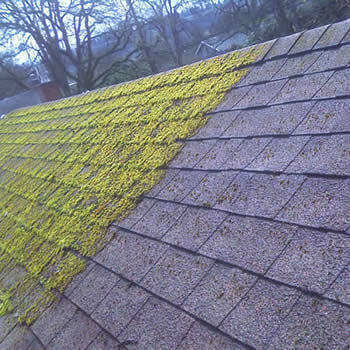 Our general climate encourages various forms of algae’s to flourish and often leaves the external aspects of properties, particularly roofs dirty and mossy. Salford is no exception and it can prove to be very difficult, to keep expensive homes and commercial properties free from dirt, algae, and moss. 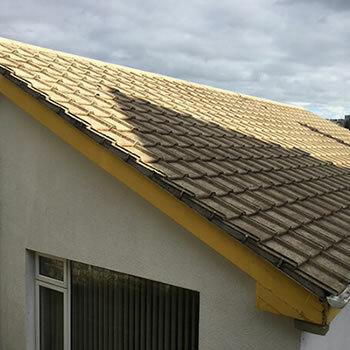 Ground level, horizontal surfaces, such as a patio or driveway are relatively easy to maintain with pressure washing, but tiles on a roof and the façades of buildings general upkeep can be a lot more challenging. 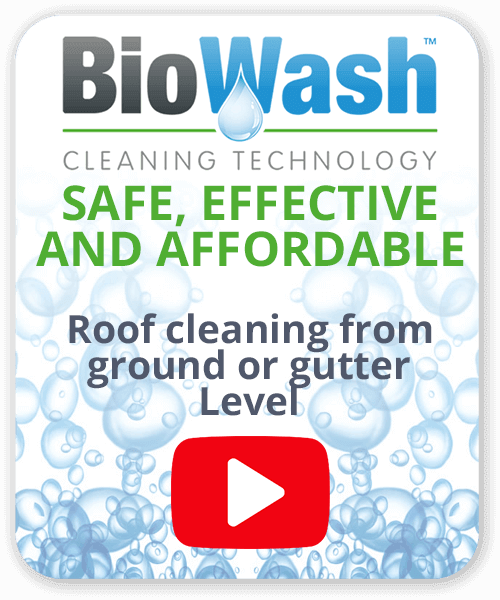 The Biowash™ cleaning system is the affordable way to keep any type of roof clean and looking good. 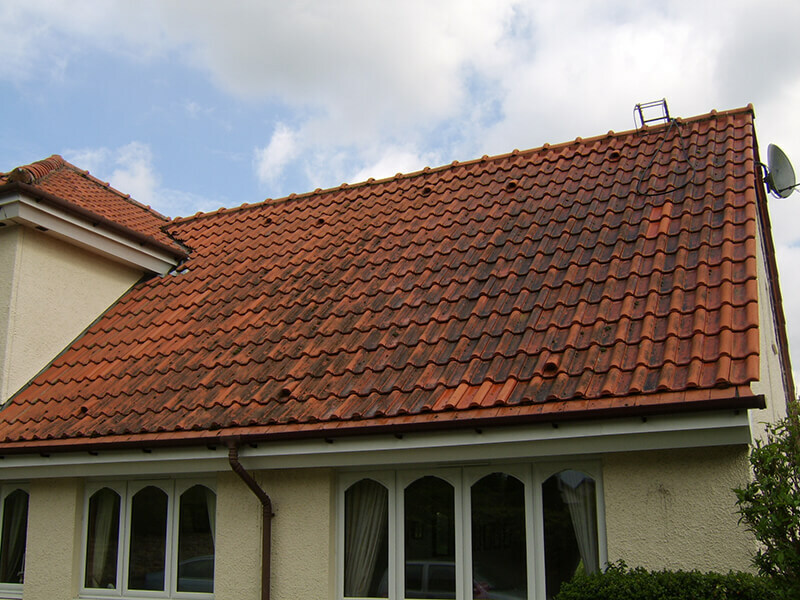 With all work carried out from the ground or at the gutter level, the tiles cannot be damaged and the results of our non-pressure roof cleaning and protection process are excellent. 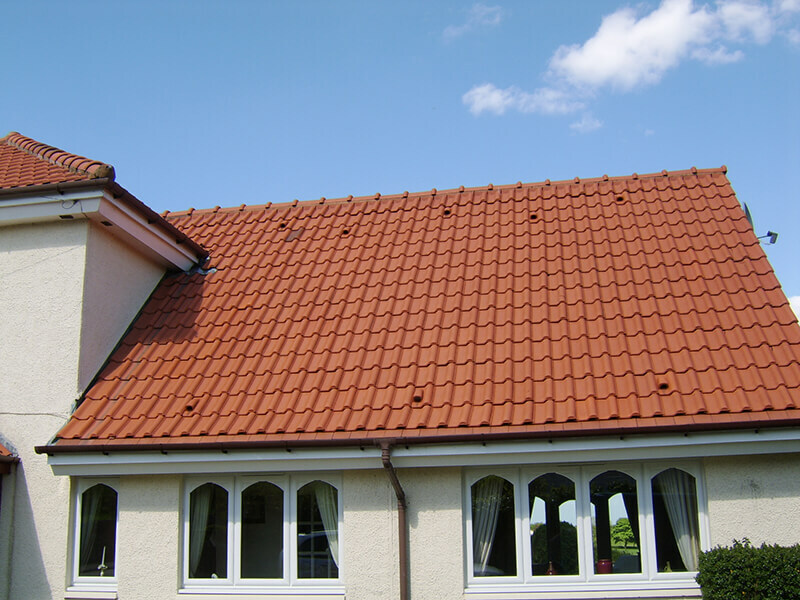 The diverse age, style and condition of roofs in Salford dates backs to the 19th century. This is when Salford became a major factory town known for cotton and silk spinning and provided Salford with a strong economy. Canal building also helped to stimulate the town’s industrial development. In recent years it has undergone a large regeneration programme, in particular, the Quays a stunning waterfront development for culture and entertainment. Many large companies including the BBC have relocated to the area as the town continues to flourish. Whether it be a residential or commercial building, our local agents are equipped for the work required. 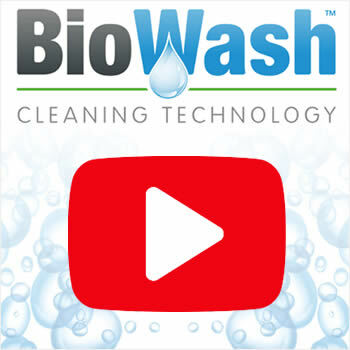 To find out more about how the Biowash™ cleaning service can benefit your home and reduce ongoing maintenance, get in touch today.